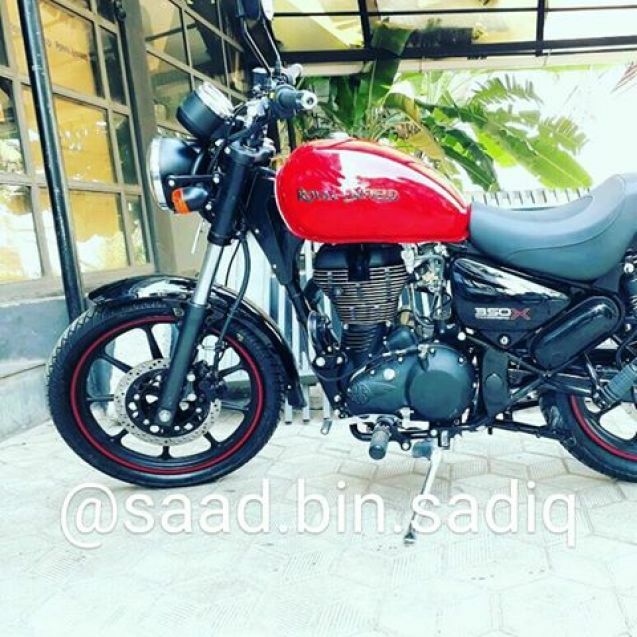 I am planning to buy a Royal Enfield Thunderbird 350 within this month. I have decided to sell off my Bajaj Pulsar 180 DTSi and have short listed this beast. Pulsar has been a faithful companion to me but the maintenance costs have become surprisingly high. I have driven it for 60 000 kilometers in last 5 years. The fuel efficiency has also gone down to 25-30 kmpl and vibrations are prominent. After a lot of research I have made up my mind with the Thunderbird. I had no specific criteria for my new bike. I just simply wanted to move on to something new and refreshing. Hence i made a list of prospective bikes and calculated the pros and cons. But one thing I strongly nagged for is whether the bike will suit to my bulky body(I am 6ft-95kg). I should not look disproportionate on the bike while riding. 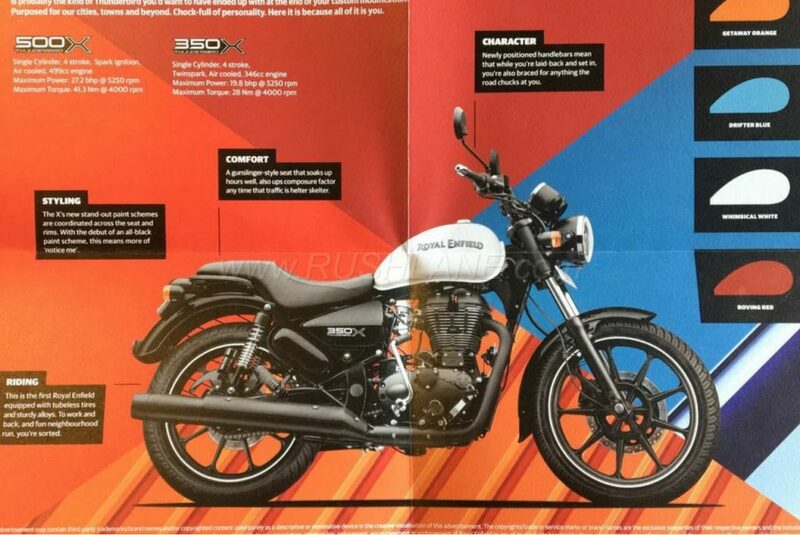 IMO: Its a outgoing bike in the market. Soon will be replaced. Performance is breathtaking and is loaded with projectors and other modern gadgetry. Suited my physique. But its outdated. IMO: Most comfortable and refreshing color (Military green-matte black). Though it is in market for a long period, still its a head turner. Where it lacks is power. 153cc is not for me...Coz I am moving from a 180cc. IMO: Everything you need. But it looked very odd when I sat on the bike. It didn't suited my physique. IMO: Itz fast. Itz sharp. Itz compact. It looked like a baby cycle when I sat on it. It was disappointing, hence I started jogging. Its a no ! IMO: Made like a gun. Suited me perfectly. Lacked some basic features and tech stuffs. It was too basic for me. IMO: A sure head-turner. 535cc of pure adrenaline. But the seating position gave me an instant backache. And it is 2.12 lacs on road ! IMO: Comfortable, easy to drive, good fit n finish. Loaded with good stuffs, digital display, Discs (both F and R), projectors, LEDs and some eye catchy colors. Service and niggles are a problem. Fuel efficiency is okay. Delivery time of 20 days. After all the research, I have finalized RE Thunderbird 350 (Stone Color). It comes around 1.49 lacs on road here in Bhubaneswar, Odisha. So friends I would like to ask you for suggestions regarding my choice and the things which I should be careful while owning and maintaining the Thunderbird. I would be glad if you can suggest any other bike option. Also RE people are offering 25k exchange price for my Pulsar. Would it be wise to exchange it ? The bikes you have listed are all very different. However, I will recommend you to choose between Pulsar 200 NS (a sporty bike) or Thunderbird 350 (a cruiser) depending upon your requirement. Pulsar 200 NS is a very good bike with advanced technology and a frugal engine. Thunderbird on the other hand is a cruiser which likes open spaces to enjoy it to fullest. I had purchased TB 350 (9 months back) and it's running fine (no niggles or problems). RE seems to have improved it's quality in general over last few years. FE wise it should return in range of 28-32 kmpl in city and around 35-38 on highway. I think they have just recently added couple of new colours also to it's range brown/blue. 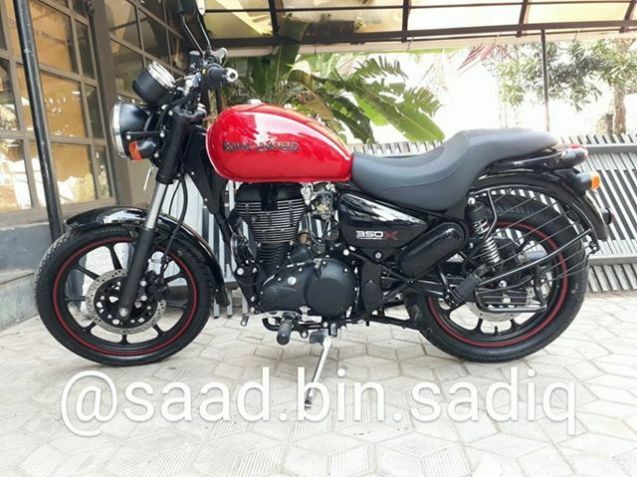 As for exchange, I had a general opinion that dealers always quote low price for bikes/cars as compared to what you might get in open market if you try to sell yourself (may be put an online advt). Thank you Sachins. I was totally impressed by the Pulsar 200NS. Liked the new chassis design and the engine refinement. Its a good VFM package. But it didn't really suited me. It looked very odd when I sat on the bike. The bike is tall but it doesn't looks proportionate with my body physique. I am 6ft tall and 95 kgs, quite a bulky body I have. It would be great if you can tell me about the regular maintenance details. I have heard that the gear shift is also a bit sticky and it doesn't gets to neutral easily. Please help me with the basic maintenance things and not-do-things with the thunderbird. Looking at your Size Thunderbird will suit you the most. Imagine a tall, muscular man riding a Thunderbird, seems Cool! Get your hands on the TB and you wont regret your decision. @sibasis_FIAT, regular maintenance of TB 350 requires engine oil change and a bit of tuning only. They have 1st service at 500km/1month and then 3 more free services (only labour is free) at 3, 6 and 9 months or 3k, 6k and 9k kms (whichever is earlier). Normal oil change costs around Rs 800 but you can also opt for topping it up in 6/9 month service (instead of full oil change) in case the bike hasn't run much (full oil change is recommended during 1st 2 services). Initial gear shifts might be a bit sticky but as it runs in it becomes quite smooth. Run in as per the recommendation which I think is for 1st 1000 kms (max speed they recommend during run in period in 5th gear is around 60kmph). I didn't find any problems in finding neutral, infact it was easier in TB than it was in my previous bike TVS Apache. 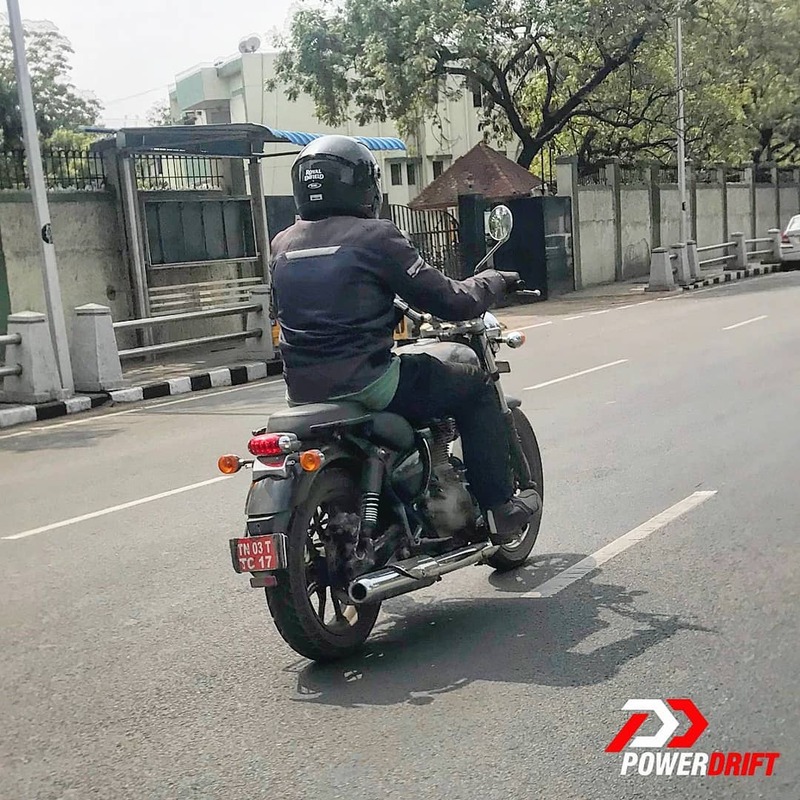 The Thunderbird 350X has been spied ahead of its launch tomorrow! Just a few days ago the entire Thunderbird X variants' brochure had leaked online... Looks like it's going to be available in four colour options – Getaway Orange, Drifter Blue, Whimsical White and Roving Red. 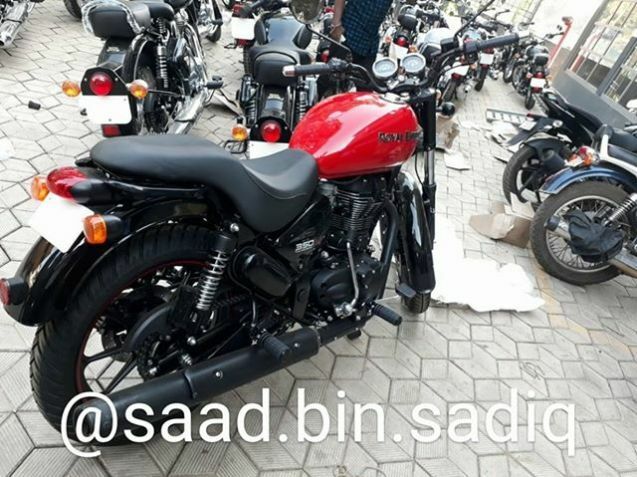 The next-generation Royal Enfield Thunderbird has been spotted testing! From the spy pics, it looks like the new version of Thunderbird is running its braking hardware on the right side, whereas the current model has its discs and calipers located on the left side. The chain and sprockets have also switched sides and moved over to the left-hand side. Similarly, the Thunderbird also appears to be running a more compact exhaust, which ends well before the rear tyre – unlike on the current model, where it is jutting out. This could be either just a styling tweak or it could be the all-new BS-VI model, running a reworked engine-and-exhaust set-up. The rear fender appears to be shorter and the taillight-housing has been redesigned, as well. The twin shock-absorbers appear to have gone through a change too. 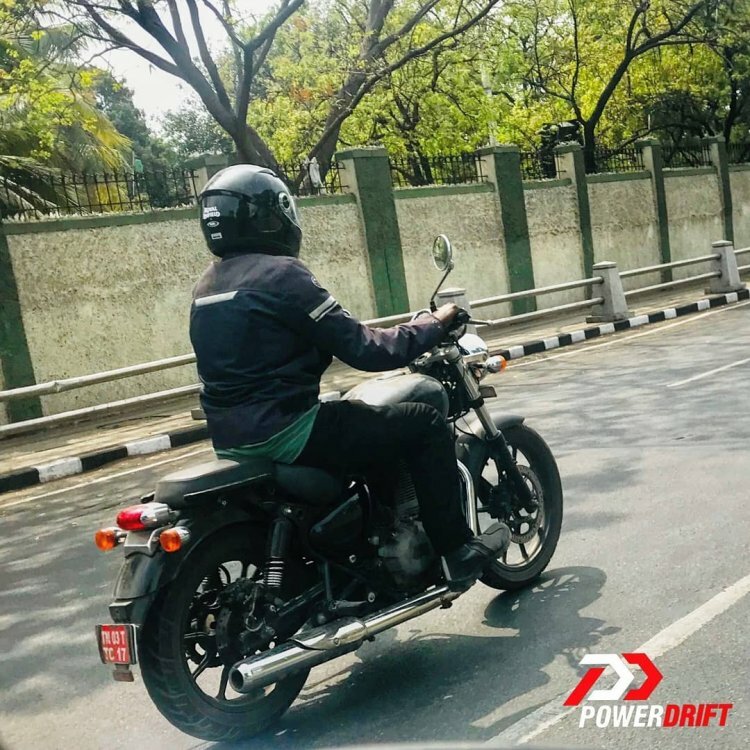 Royal Enfield also appears to have ditched the kick-starter. The alloy wheels appear to have Y-shaped spokes instead of the regular straight ones found on the current Thunderbird X variant.